A deep-sea submersible filled with an international research crew lies disabled at the bottom of the Pacific after having been attacked by a massive shark previously thought to be extinct. 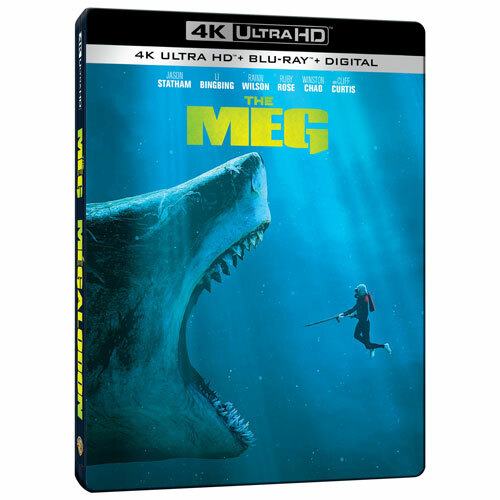 With time running out, expert deep sea rescue diver Jonas Taylor (Jason Statham) is recruited by a visionary Chinese oceanographer (Winston Chao) to save the crew--and the ocean itself--from this unstoppable threat: a pre-historic 75-foot-long shark known as the Megalodon. What no one could have imagined is that years before, Taylor had encountered this same terrifying creature.